A new school year begins soon and along with it the introduction of electronic class registers into state schools – a project that will cost the citizens 1.6 million euros. The Ministry of Education gave this job to the consortium that includes the Tesla company, with whom Minister Mladen Sarcevic had business collaboration, reveals KRIK. Experts point out that the tender for electronic class registers was conducted in a way that only Tesla could win. They also warn that the Anti-Corruption Agency should investigate Minister Sarcevic’s possible conflict of interest. “Thank you, Mladen,” Andrej Bezjak replied and presented the program for learning on tablets, developed by his companies Tesla and Filex from Zagreb. The two of them then explained to the audience that at the Rudjer Boskovic School this system was so successful that it “made kids’ lives easier”. This event would not have been particularly special that Mladen Sarcevic had not gone from private business to an Education Minister in August 2016 – and still continued working with Bezjak. Only three months after Sarcevic was appointed to the office, his Ministry supported the conference Curriculum Serbia 2016, organized in Belgrade by Tesla and its partners. Teachers from state schools attended this meeting, where, among other things, the discussion took place about the introduction of electronic class registers in Serbian schools, which will be the basis of future collaboration between Sarcevic and Bezjak. Six months after Bezjakov’s conference, Tesla gave schools to use its esDnevnik program for a year, and, in the middle of this year, the Ministry announced the tender worth 1.6 million euros for purchasing electronic class registers. 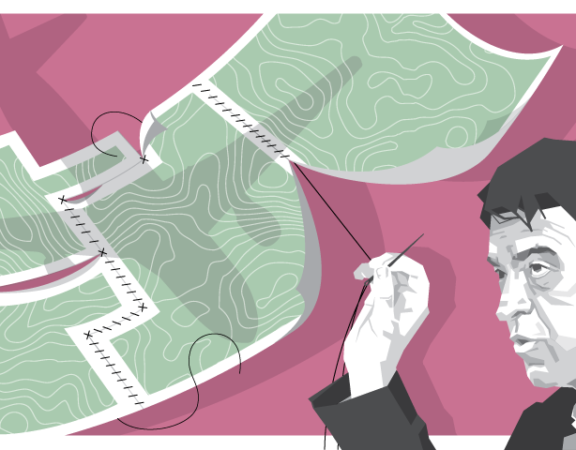 The tender requirements were such that they were met only by the Tesla company from Zagreb, reveals KRIK, whose journalists analyzed the documentation together with public procurement experts. “The tender was extremely discriminatory, the requirements were set in a way that only Tesla could win,” says Rade Djuric, a lawyer from the NGO Transparency Serbia. Sarcevic’s Ministry requested that almost the same system that Tesla donated to schools just a year ago be introduced in all schools in Serbia. In addition, unrealistically short deadlines were given to carry out the work – the electronic class registers should have been delivered by September, that is, by the beginning of the school year. This deadline could have been met only by a company that had already had such software. The tender also insisted on additional details that prevented Tesla’s competition. It was said that only a company that had introduced a system of electronic class registers in at least 50 schools in 10 different cities in Serbia in the last three years, and that five of these 50 schools had 100 teachers, could apply. Such tightened requirements suited exclusively Tesla, as found by KRIK journalists. It was also requested that lecturers that would train school staff to use the class register provided proof of knowing Serbian, thus reducing the possibility of a foreign company applying. It is not surprising that only one offer was received at the tender – the offer of the consortium whose parts were the Tesla company and two companies of the state-owned Telekom Srbija. The consortium won the tender and got a contract worth 1.6 million euros. This contract will surely mean to Tesla, which operated poorly last year and made a loss of more than 10,000 euros. On the other hand, experts estimate that the software procurement was carried out at the expense of the budget of Serbia, considering that the cost of the project could have been much lower if the other companies had really had the opportunity to offer their solutions competitively. The particular problem of the contracted cooperation is also the position of Minister Sarcevic, who is in a potential conflict of interest, considering that his former business partner Bezjak is agreeing procurements with the Ministry. Despite everything, Minister Sarcevic claims for KRIK that the tender was regular, as well as that he cannot talk about the details, because, as he says, the procurement is carried out by the office within the Ministry. He denies that he was in any kind of conflict of interest claiming that, when Tesla gave schools the class registers, it was recommended by the South Korean company Samsung, and not him. He says that he knows the owner Bezjak only superficially, although the available information show that they have been cooperating for many years. He added that such projects concerning digitization are not decided upon without consulting Prime Minister Ana Brnabic. When marking the beginning of the project of introduction of electronic school registers, Brnabic proudly said that this was a “positive change” that showed that “we were heading to a society where there were no more shady dealings”. Last year, the Ministry of Education announced its “strategic project” eProsveta – the digitization of education, that includes the introduction of electronic class registers. To this date, the project has been implemented in 556 schools in Serbia. At that time, the Ministry did not conduct a competition for the selection of the best solution, instead it received the application developed by Tesla to use it. 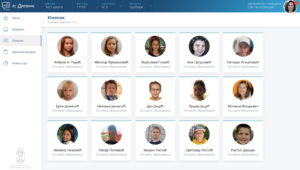 The part of the application regarding parental access to esDnevnik was not functioning throughout the whole past year, although they have been announcing it ever since the beginning of the project. The Ministry representatives told the public that the module was not working because of the “legal issues resolving”. At that moment, the public was not informed about the details of this project – in a statement on its website, the Ministry did not name Tesla as the company that gave them electronic class registers, nor who paid this private company to produce them. The production of the software was paid to Tesla by the South Korean company Samsung, Sarcevic revealed to KRIK journalists in a telephone conversation. This way, South Korea supported the digitization of education in Serbia, he said. When I just became a Minister, Samsung asked me what they could donate and, among other things, we told them to go with equipment digitization. (…) And then they decided to donate this project and they choose Tesla as a contractor, because they are a high quality company. So Samsung paid Tesla, they did not work for free,” says Sarcevic. The use of the program for public schools was free for just one year. Starting next month, the Ministry can no longer use the Tesla electronic class register for free. Sarcevic, however, announced the competition for the electronic class register procurement, which Tesla and their business partners won two weeks ago. The contract worth 1.6 million euros was signed with the Ministry by a consortium that, apart from Tesla, comprises two Telekom Srbija’s companies. No one else, in fact, could have won the tender. The documentation analyzed by KRIK journalists and experts in the field of public procurement shows that the tender was created to exclude Tesla’s competition. Rade Djuric, a lawyer from the NGO Transparency Serbia, analyzed with KRIK journalists the complete documentation of the procurement. The first discrepancy that he noticed were extremely short deadlines. At the beginning of this year, the Ministry of Education decided to continue introducing electronic class registers in schools in 2018-2019 school year, as shown in the public procurement plan. According to the plan, they were supposed to announce the competition in March, so the best offer could be chosen by June. However, the plan was not met. The call for software procurement was announced only at the end of June, so the companies had one month to submit their offers. Then, they were evaluated by the competition committee and, after that, a period of only ten days was planned to introduce the new program in schools – until September 1. In the competition, the Ministry awarded the highest marks to the company that could deliver the software in less than five days from signing the contract. The programmers and graphic designers interviewed by journalists of KRIK portal confirmed that it takes between three and nine months to build such a student database software, depending on the number of programmers. The analysis of this procurement indicated that only the company that had already had the entire program developed could win the competition. Furthermore, any potential competition was impeded by additional conditions of the competition itself. Only those companies that had introduced electronic class registers in at least 50 schools in Serbia in the last three years could apply for it. These class registers should have been the same or only slightly different from those described by the Ministry in the competition. As if this was not enough exclusive, it was required that at least ten schools for which the company worked were in different cities, and that at least five schools had 100 teachers who used this software. Such conditions look as if they were written for Tesla – KRIK journalists did not find any other company that meets them. Djuric believes that in this way those companies that sell their software only to schools abroad, as well as all other interested companies, are primarily discriminated against. 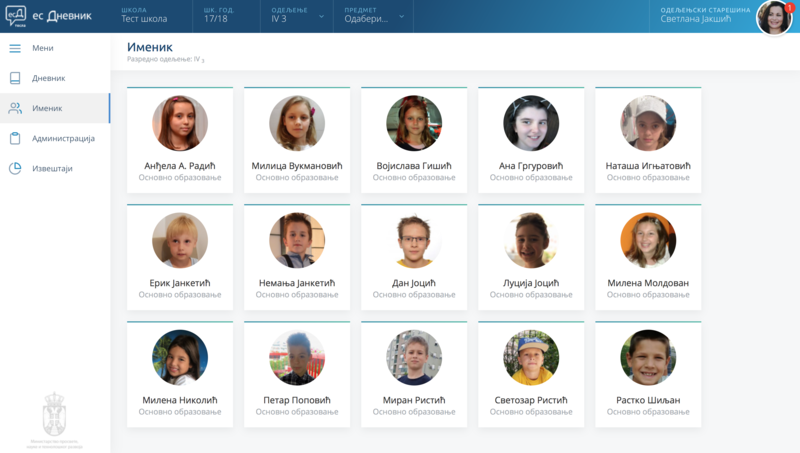 With several additions and improvements, the software that the Ministry of Education requested through the tender is almost identical as the already existing Tesla’s application esDnevnik. By comparing the pilot program to the described software in the procurement, it can be seen that both are adapted for the same operating systems and Internet browsers. Briefly, the main program components are the class and grade register, directory with personal data, as well as the option for students reports that can be printed. It is planned that teachers see and modify data and grades only for the subjects they teach, while the homeroom teacher has insight into all information regarding students. All teachers have their own passwords for using the program, and a token, which is part of the equipment that makes one-time passwords, so the access to the system is additionally protected by combining these two passwords. “I think that the situation in which the Ministry first had a limited duration pilot project is very questionable, because, if they used identical parameters when writing procurement specifications, then the public procurement was rendered meaningless and the principle of ensuring competition was violated that way,” explains Rade Djuric for KRIK. Sarcevic claims for KRIK that the tender was clear. 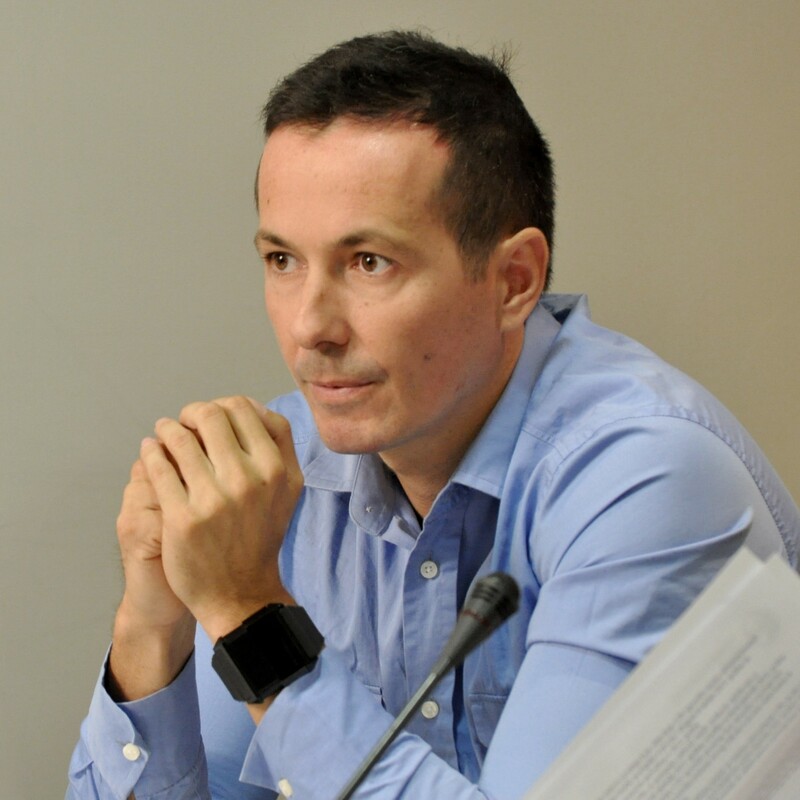 He says that he cannot talk about details because he does not deal with public procurements and that all of the digitization processes are monitored by Ana Brnabic’s cabinet. “I’m completely unfamiliar with these things. I came from the private sector, I don’t know what public procurements are. Those are managed by the sectors and services (of my Ministry). (…) As I was informed by my teams, this procedure took a little longer precisely because of the hard and strong conditions that were set for the entire affair. 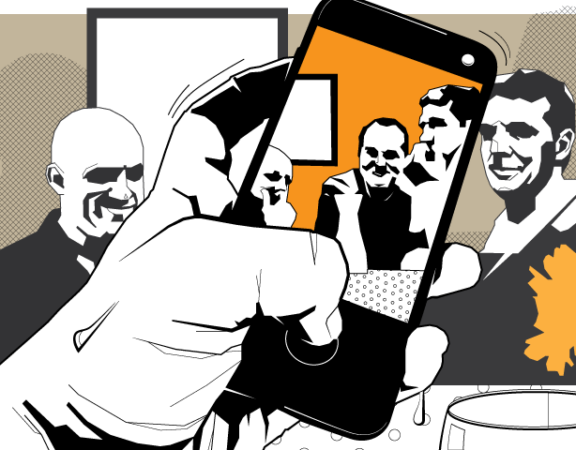 (…) In addition, there is no issue in the field of digitization that can be decided upon solely by the Ministry and without the decision of the IT council and Brnabic’s cabinet. The position of the Prime Minister’s Cabinet was, as this is their main subject, to create a budget line in order to finish the e-register in its entirety,” explained Sarcevic. It is not surprising that only one offer was received at the tender. The Tesla company from Zagreb applied through a joint bid with state-owned companies Telekom Srbija and MTS Sistemi i integracije (Telekom’s daughter company). Given that there was not any competition, the Ministry decided two weeks ago that they are the winners. 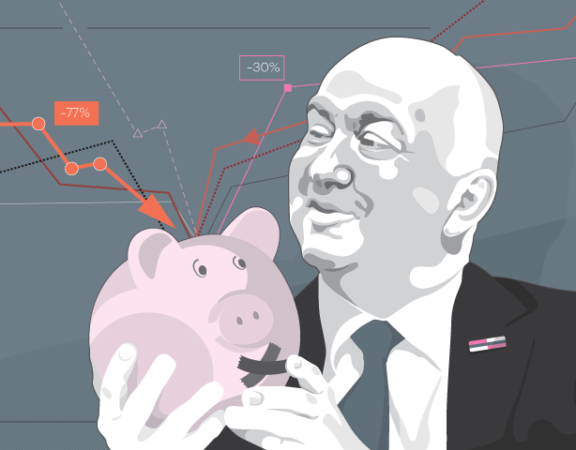 “Telekom is a big state-owned company that has a really great reputation and it’s not surprising that it can win, but Telekom doesn’t have such specific executives that could do it in a way that this gentlemen (Bezjak) did,” said Sarcevic for KRIK. The tender winners promised that, after signing the contract, they would introduce the software in less than five days, and that in less than 20 days they would organize the training of school staff in the first 600 schools in Serbia. For the software and training the state will pay more than 194 million dinars (1.6 million euros). The cost of the project could have been much lower, according to Djuric. KRIK journalists contacted Andrej Bezjak via e-mail, but he replied that we should talk directly to Telekom as the project carrier. He did not want to talk about his ties to Minister Sarcevic. Telekom Srbija confirmed for KRIK that the work on this project had already begun and in their written answers they explained the division of tasks between the members of the consortium. Two state-owned companies are in charge of storage and data security and of system integration, while Tesla has provided the entire software. The Telekom company claims that they do not know that Tesla gave its software to the Ministry last year. They say that Tesla was chosen as a partner because of its quality, and also because of the conditions and deadlines of the competition. Mladen Sarcevic collaborated with Tesla even before taking the state office. He owns several private schools in Serbia, most often attended by children of politicians and diplomats, among which was the son of Serbian President Aleksandar Vucic. 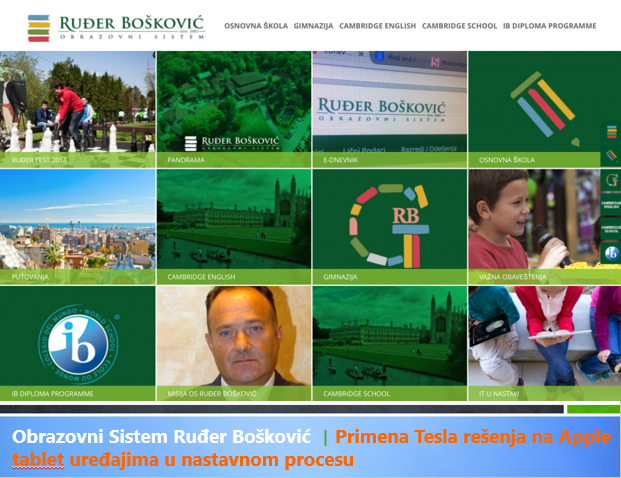 Sarcevic’s school Rudjer Boskovic was the first school in Serbia to cooperate with Andrej Bezjak and his companies Filex and Tesla, even in 2014. This school introduced Tesla’s program for learning on tablets. At that time, Sarcevic was publicly promoting with Bezjak the quality of electronic education services that Tesla provided. Andrej Bezjak has three companies in Zagreb. As of 2010, he is a co-owner of Filex company which has been selling Apple products for years, but then in 2014 it made a system for learning on tablets and introduced it in several schools in Croatia. The program was called Tesla, and Bezjak then founded a firm of the same name. “The idea of creating the Tesla solution came spontaneously. Initially, we were thinking about making a solution that would help us improve the sale of iPad tablet computers in educational institutions, but after the first interviews with potential users we realized that we had scratched the surface of a much bigger challenge,” said Bezjak for the Croatian newspaper Vecernji list then. The third Bezjak’s company is called Intendo Poslovna logika and it is registered for business counseling. 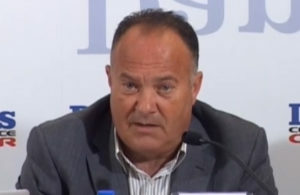 When afterwards as a Minister he signed the pilot contract with Bezjak and his company Tesla, Sarcevic did not inform the Anti-Corruption Agency that he collaborated through the Ministry with his former business partner again. The Agency should estimate whether there is a potential conflict of interest. “I don’t know why I would report something that we received as a donation, and the donor (Samsung) brought his contractor. It’s just a sheer coincidence, (…) we didn’t have anyone here to offer us to do that,” told Sarcevic for KRIK. “The biggest problem during the entire process of introducing electronic class registers is that there is obviously no competition and the actions of the Ministry have directly led to that. Minister Sarcevic signed all contracts regarding these projects with Tesla company, and since he had previously collaborated with them privately that can raise doubts about potential conflict of interest, which the Agency certainly has to check,” says lawyer Rade Djuric for KRIK. Another problem that came with the introduction of electronic class registers is the illegal use of students’ private data. The Ministry of Education did not contact the Commissioner for Information of Public Importance and Personal Data Protection Rodoljub Sabic before launching the project, so the Commissioner’s Office acted on this independently and initiated a supervision procedure in order to check how the personal data would be used. The Commissioner discovered that the processing of personal information in the esDnevnik service is in fact unauthorized. The information was used without legal authorization because the Minister did not pass the rule book that would precisely determine everything concerning personal data collection. Consequently, at the end of May, the Commissioner issued an official warning to the Ministry of Education. Sarcevic then issued a Decision on forming the Working Group that should draft a necessary rule book proposal by mid-August. The procurement of new electronic class registers software was also passed without rules on how to collect personal data, which are yet to be prescribed by the new rule book of the Ministry. Sarcevic said that a lot of work has been put into it, and that the draft rule book was finished. “The legal service has its share of work, I’m not saying that I’m satisfied with all of my associates. The rulebook is finished, it’s definitely finished. It was sent to him (to the Commissioner), he returned it, and they corrected it, I know that a lot of work was put into it (…). Let everyone do their job, I don’t have any problems here, everything was done legally,” concluded the Minister. Donate KRIK. Only with your help we can investigate crime and corruption. For details on how to donate KRIK, clic here. Thank you for supporting us!